[143 Pages Report] The global hazard control market was valued at USD 1.17 Billion in 2016 and is expected to grow at a CAGR of 5.83%, during the forecast period, to reach USD 1.63 Billion by 2022. Stringent norms for industrial safety, the development of unconventional hydrocarbons resources, growing environmental concerns, and growing concern for human resources safety in industries are the major factors driving the hazard control market. The base year considered for company profiles is 2016. Whenever information was unavailable for the base year, the prior year has been considered. This research study involved the use of extensive secondary sources, directories, and databases, such as Hoover’s, Bloomberg Businessweek, Factiva, and OneSource, to identify and collect information useful for a technical, market-oriented, and commercial study of the global hazard control market. Primary sources are mainly industry experts from core and related industries, service providers, technology developers, standards and certification organizations of companies, and organizations related to all segments of this industry’s supply chain. The research methodology has been explained below. After arriving at the overall market size, the total market has been split into several segments and sub-segments. The figure below illustrates the breakdown of primaries conducted during the research study based on company type, designation, and region. The leading players in the hazard control market include ABB (Switzerland), Siemens (Germany), Schneider Electric (France), Rockwell Automation (US), Eaton (Ireland), and Emerson Electric (US). 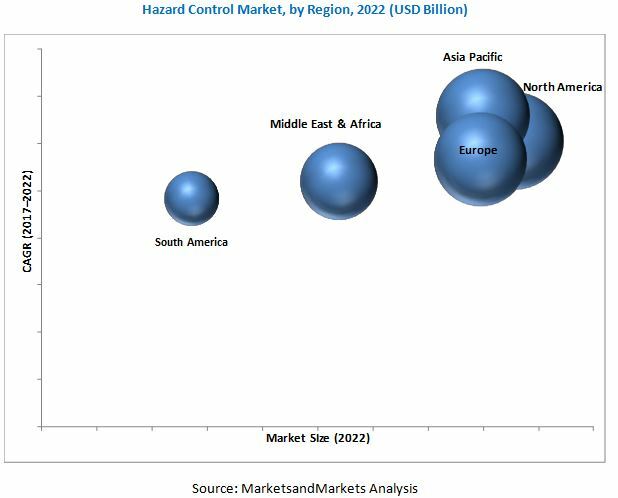 The global hazard control market is projected to grow at a CAGR of 5.83%, from 2017 to 2022, to reach a market size of USD 1.63 Billion by 2022. This growth is attributed to stringent norms for industrial safety, increasing environmental concerns, and growing concerns for human safety in industries. The report segments the hazard control market, on the basis of industry, product, protection type, and region. The Oil & gas industry is expected to account for the largest share of the hazard control market during the forecast period. Safety norms have been made stringent across all major oil & gas producing regions, particularly North America and Europe. Incidents such as the Deepwater Horizon oil spill in the US Gulf of Mexico have driven a new focus on safety, environmental protection, and concern for human safety. The hazard control market has been segmented, by protection type, into flameproof/explosion proof, intrinsic safety, and others. The intrinsic safety segment is expected to be the largest and fastest-growing segment. Intrinsically safe devices find widespread application across all industries and in all types of hazardous division and zone classifications. Increasing industrialization in Asia Pacific will drive the demand for such devices during the forecast period. The hazard control market has been segmented, based on product, into motors, servo valves, sensors and actuators, drives, and others. 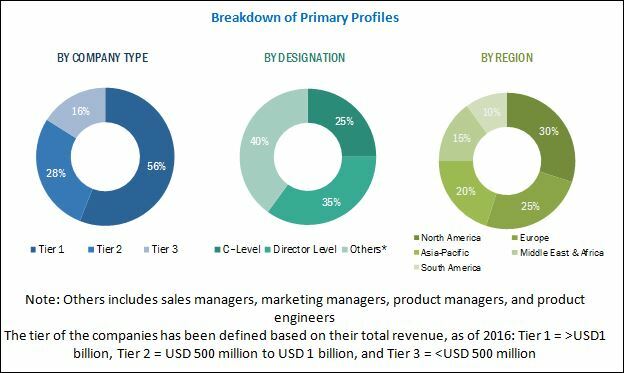 The motors segment accounted for the largest market share in 2016, while the servo valves segment is expected to grow at the highest CAGR, from 2017 to 2022, due to increasing applications in the oil & gas and chemicals and pharmaceuticals industries. In this report, the hazard control market has been analyzed with respect to 5 regions, namely, North America, Europe, Asia Pacific, the Middle East & Africa, and South America. North America is projected to the largest market for hazard control, during the forecast period, due to increased activities in the unconventional oil & gas production sector in the region. The market in Asia Pacific is expected to grow at the highest CAGR, from 2017 to 2022. This growth can be attributed to growing industrialization and urbanization and increasingly stringent industrial safety norms in the region. Countries such as China, India, and Japan are driving the hazard control market in Asia Pacific. The lack of effective monitoring mechanisms with regard to industrial safety norms is a restraint for the market. The leading players in the hazard control market include ABB (Switzerland), Siemens (Germany), Schneider Electric (France), Rockwell Automation (US), Eaton (Ireland), and Emerson Electric (US). New product launches was the strategy most commonly adopted by top players, constituting 54% of the total developments, from 2014 to June 2017. It was followed by contracts & agreements, mergers & acquisitions, and expansions.